Penbox: Pelikan Pens. Pelikan Souveran, Epoch and Pura. 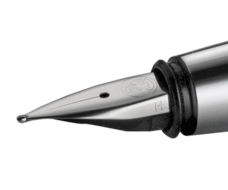 We stock the Pelikan Souveran 1000, 800, 600 and 400 series of pens. Pelikan Souveran pens are timelessly elegant, a classis, and combine precision technology to contemporary clarity. The Pelikan Souveran is available in a variety of finishes to suit every taste. At the heart of every Pelikan Souverän pen is a 14k or 18k solid gold nib. A special edition for 2017 from Pelikan pens. Produced in a bright red marbled finish and fitted with a 14k gold nib. Pelikan Epoch pens are the symbiosis of tradition and modernity. Giving new shape to the tried and trusted. See it, feel it, touch it. 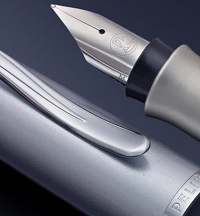 Pelikan Pura pens are an attractive series of aluminium writing instruments. An attractive contrast of matt and glossy metal surfaces. Pelikan pens are beautifully gift boxed.